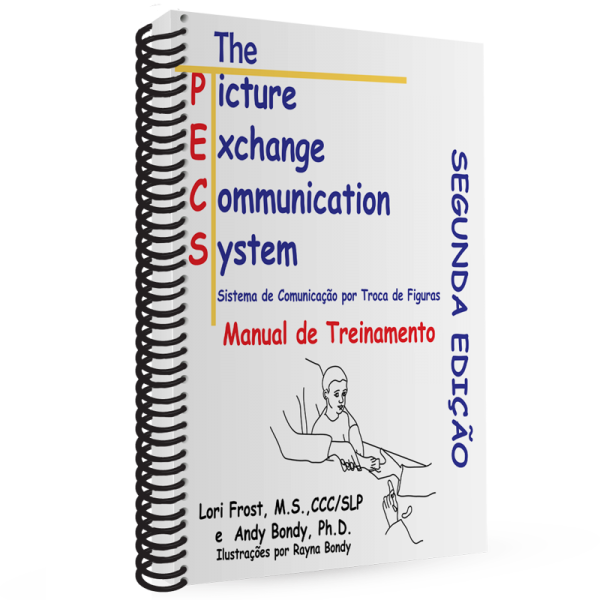 The Picture Exchange Communication System Training Manual, 2nd Edition by Lori Frost, M.S., CCC-SLP and Andy Bondy, Ph.D., 2002, 396 pages. 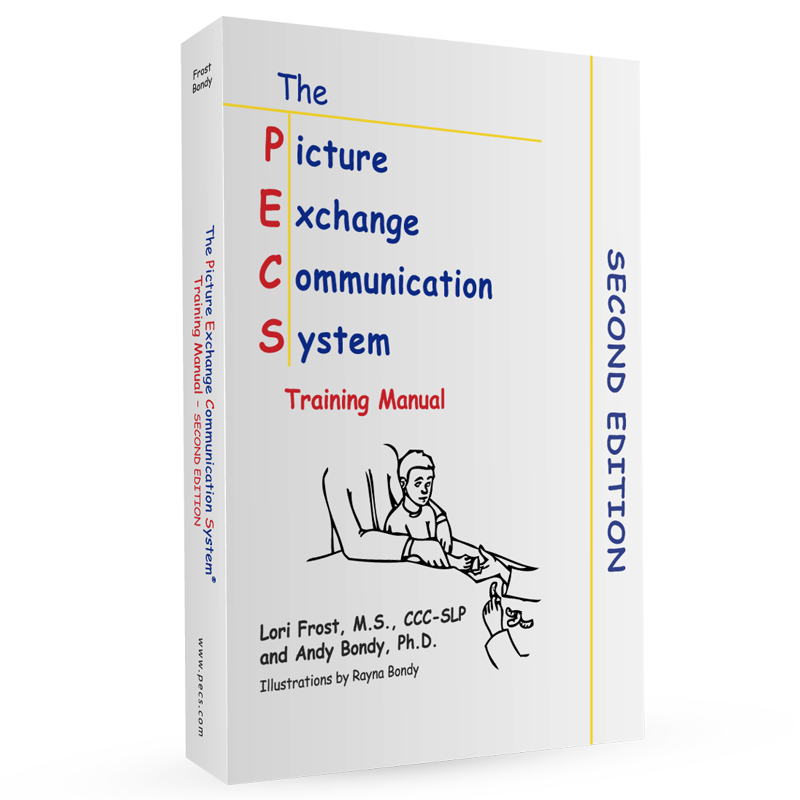 The 2nd edition of this very popular training manual provides comprehensive instruction in implementing the Picture Exchange Communication System. 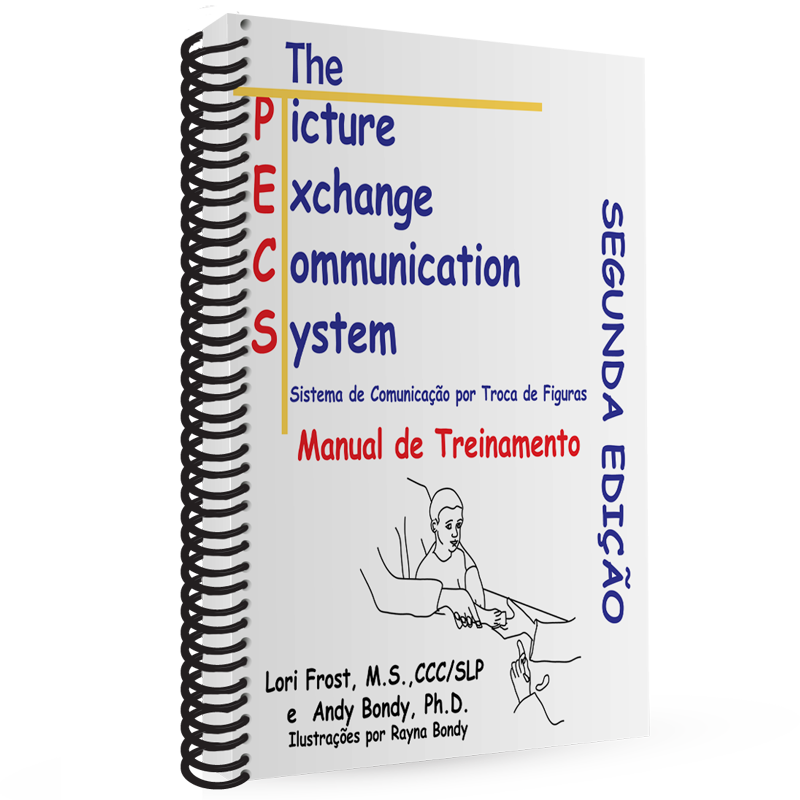 Developed by Lori Frost and Andy Bondy, the goal of PECS is to provide individuals with an effective and functional method of communication. 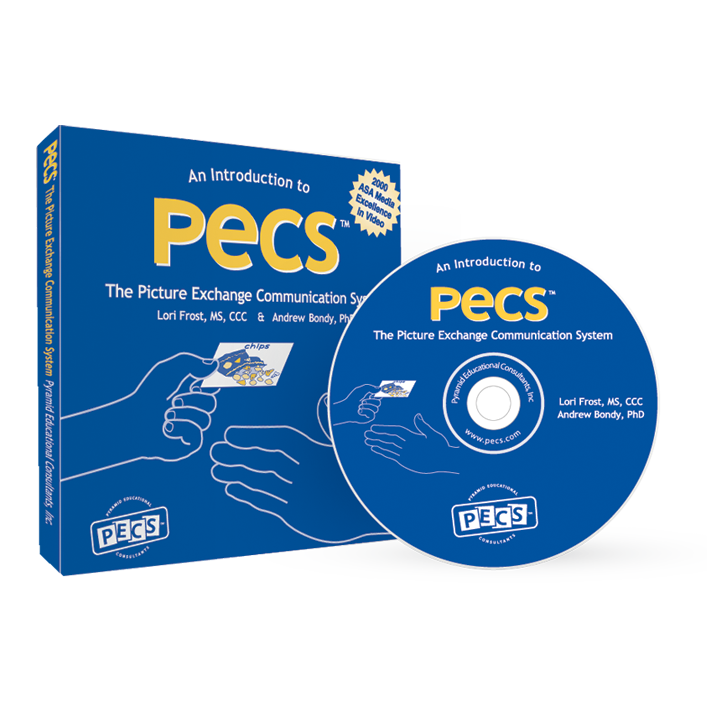 The Training Manual begins with a description of the Pyramid Approach to Education, which is the foundation for creating all PECS lessons. A detailed chapter on functional communication follows. 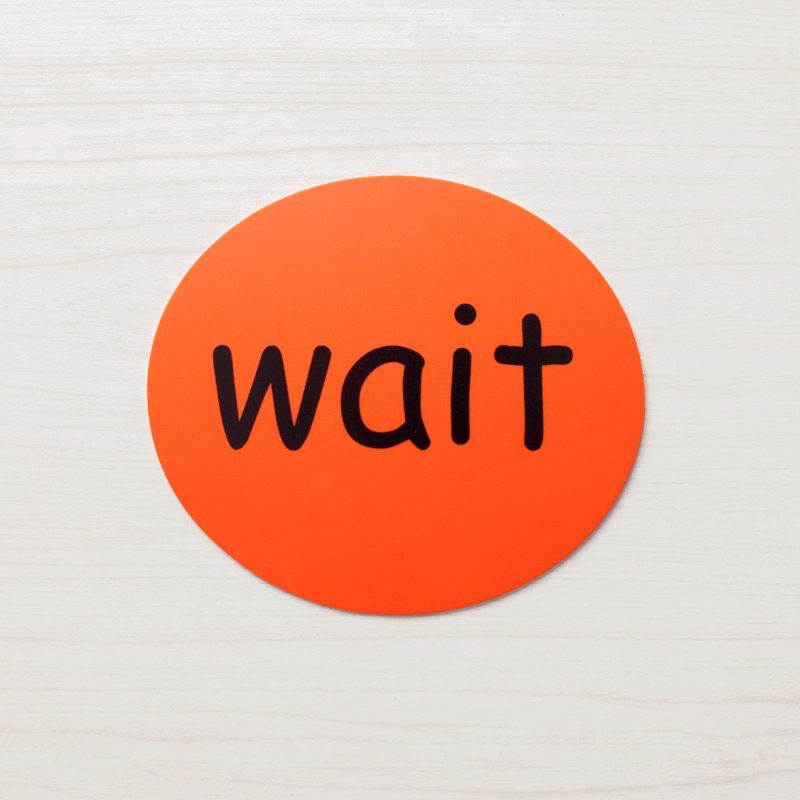 Each of the 6 training phases is described according to rationale, training steps, frequently asked questions, helpful hints and sample data sheets. 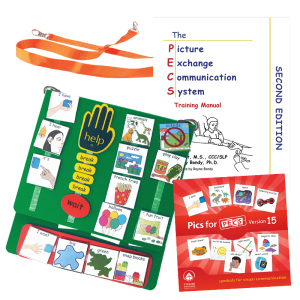 Extensive indices provide reproducible evaluation forms, data sheets, reinforcer worksheets, and communication programming worksheets. 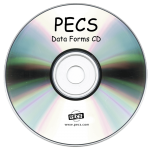 Includes PECS Data Forms download.